What Is A HVAC Unit? HVAC stands for heating, ventilation, and air conditioning, and the unit is what provides all of these things to your home! It’s what helps to keep the temperature stable and comfortable for you no matter what time of the year it is, as well as keeps the air from getting stuffy and stale. It can be found outside next to your home, which is where it pulls in air to use for these functions. The issue is that, in doing this, it also brings in unwanted substances such as air pollution, smoke, dirt, and otherwise. The buildup of these materials over time is what can cause problems. Why Get It Cleared Out? Unfortunately, if your HVAC unit is left dirty over time, a lot of issues can begin to arise. It will get clogged up with the dust and otherwise as it gets trapped inside, which causes difficultly in bringing air in to use. The system will then need to run longer to make up for it, and waste energy. Along with this, it also wears out the components and leads to a much shorter lifespan. Even more worrisome is that these substances tarnish the air that goes into your home and can cause health troubles like fatigue and bad skin. It’s much more concerning for anyone with breathing issues like asthma, as the poor air can severely negatively impact them. There’s no need to worry about any of these troubles when we can take care of it all with one quick and excellent cleaning! After we find a good time in your schedule, we’ll come out on time with our best equipment to get right to work. Our years of experience mean you can rely on us to clean the inside and outside of your unit completely before you know it. 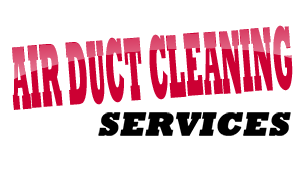 It’s time to call us at Air Duct Cleaning Venice now and find out what we can do!